Welcome to the first in a series where I explain what all the numbers and symbols mean on your camera. It's a problem almost as old as cameras. Manufacturers want to impart as much information as they can about an item, but they don't have room on the product to place paragraphs of explaining information. So they invent a shorthand and while it helps them succinctly provide information, it doesn't help us poor consumers who have to read it! Today begins a series where I decipher the information on your camera so you know what each of those mysterious numbers and letters mean. Today I'll start with camera lenses. I'll discuss what's printed on my SLR detachable lens - those of you with a Point and Shoot camera (with an inbuilt lens) won't see all this information. However your lens will have most of these values printed in the user manual. 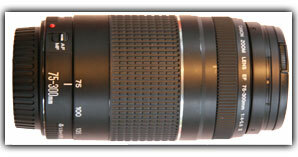 Let's look at the markings on one of my older lenses - the Canon ES 75-300 lens. 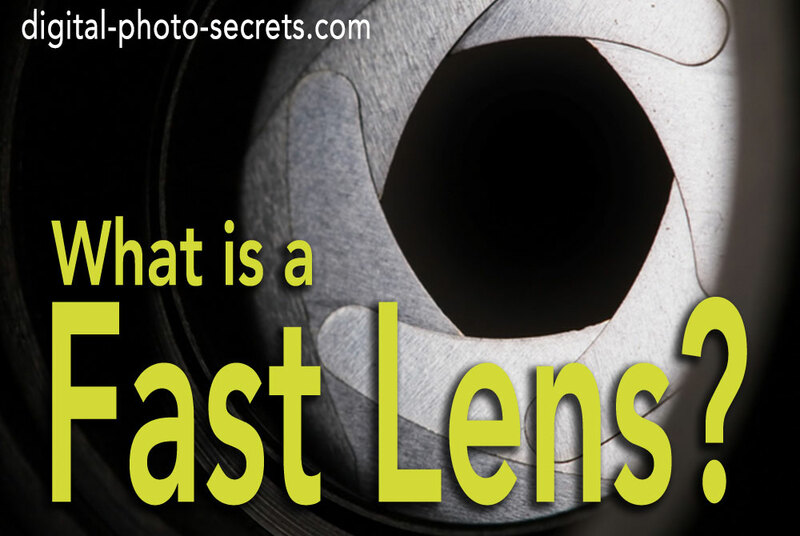 This gives almost all the information we need to know about the lens. Easy enough. This is the manufacturer and type of lens. This is the type of bracket this lens has to connect to the camera. EF stands for "Electro Focus" and tells us that this lens will fit on any camera using an EF bracket. This is most of the Canon SLR range. Other manufacturers have different names for their brackets. Nikon has the F Mount, Pentax the K mount, and Sigma the AF mount. Lenses 'talk' to the camera through electronic contacts on the mount, and if the contacts don't line up, the lens can't auto-focus or change aperture on instructions from the camera. 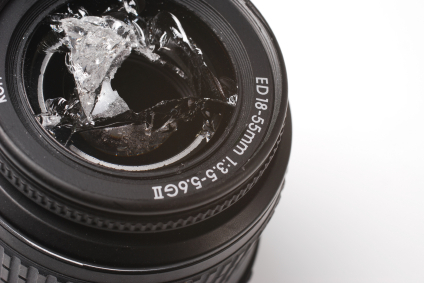 So when purchasing a lens, make sure the mount type matches your camera. 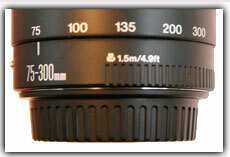 This is the focal length of the lens. 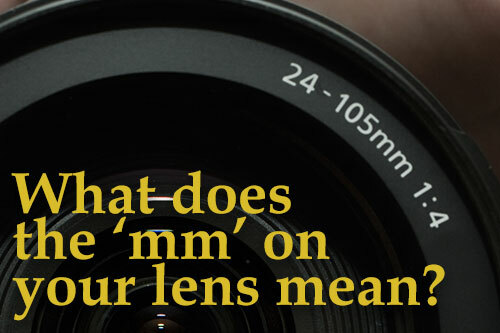 While the millimeter number has a technical explanation, it basically tells us how far in or out the lens can zoom. P&S cameras use a 'Zoom X' rating that cannot be easily related to a mm number, and I will explain why next week! 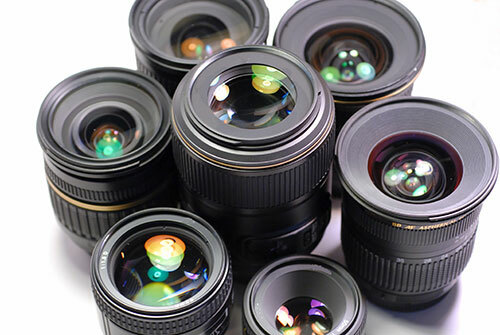 Numbers in the 18-50mm range are classed as 'Normal' lenses and take photos that look similar to what you see with your eyes. 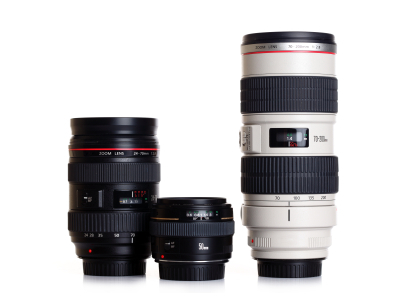 Lenses with a focal range above 50mm are classed as telephoto. These allow you to zoom in on the action. The higher the number, the further in your camera can zoom. Numbers below 18 are classed as Wide Angle lenses. These show you more than a normal lens and are great for landscapes. Once you get smaller than about 16mm this is classed as a Fish Eye lens that produces the classical 'looking out of a fish tank' photo. 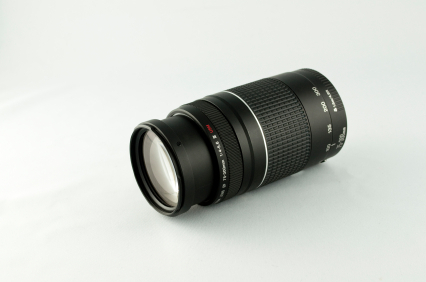 So with a 75-300mm range, this lens is a telephoto lens that can zoom in quite close. As it doesn't handle 50mm I would not use this lens for landscape photos. Most lenses will be in the 18-70mm range allowing wide-angle landscape shots as well as the ability to zoom in if you need it. This is the highest aperture of the lens. 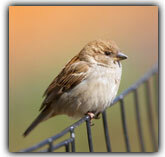 Aperture is used to control Depth of Field of the photo. So this lens can produce pictures with F4 (or F5.6 depending on how far the lens is zoomed in). With aperture, the number order is reversed so the higher the aperture, the smaller the number. As a general guide, a lower number is better as it means you can not only take images with less ambient light in the room, but with a smaller Depth of Field. Note that the lower the number, the more expensive the lens will be! This does not mean the lens can't take photos with a larger aperture number (like F16 or F20) commonly used with landscape photos. The smaller number is usually more important to professionals, so that's what they show us. 1:4 or 1:5.6 is a good maximum aperture to look for. Now let's look at the bottom of the lens. The 75-300mm is the same number as above. What's interesting here is the line beside the 75. This tells us the current focal point of the lens (75mm in this picture - fully zoomed out). If you zoom in with the lens, you will see the line moves towards the 300 number. The flower image tells us the closest a subject can be from the lens and still be in focus. Other manufacturers use the word MACRO instead of a flower. This lens says 1.5m/4.9ft which isn't too bad for a zoom lens, but the lens won't be any good for macro work. Look for numbers smaller than 0.3m/1ft to do macro work. IS - Image Stabilization. This feature of your lens helps to reduce the effects of camera shake on your image - particularly when a lens is zoomed in. 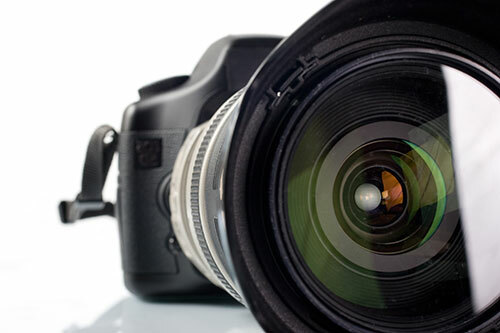 The lens features tiny sensors that can monitor any shake and move the lens a small amount to counter the shake - resulting in a sharper image. If you can afford one, purchase a lens with IS. Next time, we'll look at some of the hieroglyphs on your camera itself! an explanation i can understand! David you are great for helping everyone with all camera information. Thank you again God Bless! David, u are just too kind hearted doing all these for free, God bless u. 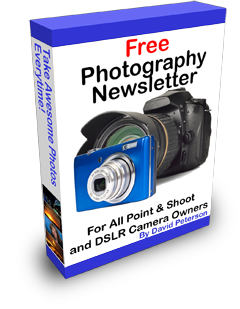 Excellent read,really helps as a amatuer wanting to make photography my future business. the same lens on an APS-C sensor which is much smaller, 16.7x23.4mm has a much narrower angle of view, 32 Degrees TO get a similar angle of view to the film on an APS-C sensor you use a 35mm lens which on the sensor has an angle of view of 44 Degrees - near enough. Thanks a lot! I am a beginner and is learning well because of your online tutorials! "Numbers in the 18-50mm range are classed as Normal lenses and take photos that look similar to what you see with your eyes." Not really, Dave. 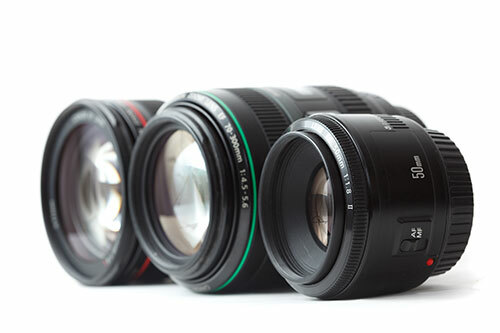 50mm lenses on a full frame digital roughly correspond to the field of view of the human eye. 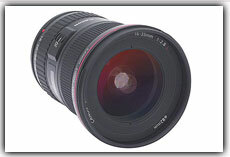 An 18mm lens is definitely regarded as an ultra-wide lens on a full frame digital, and all lenses up to 28mm are described as wide-angle in the literature. Of course, with non-full frame digital cameras, the effective focal lengths have to be increased by a multiple depending on the size of the sensor to produce the same effect. So that on say, a Nikon 200 a 35mm lens will approximately produce the same results as a 50mm lens on a full frame digital like the Nikon D3. 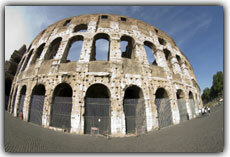 Compact cameras have lenses of a much shorter focal length because they have much smaller sensors. Hence their greater depth of field and dearth of wide angle options. 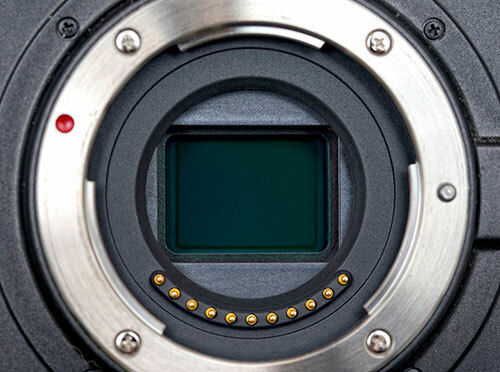 These days, any discussion of focal lengths really has to be related to sensor size. And I thought it was a pain to have to remember equivalents in 35mm and medium format! I am interested in your opinion/experience, or readers, on using film era lenses on DSLR's. I am especially interested in the 4/3 system because I have four Minolta lenses & understand they can be used with any 4/3 camera, with an adapter. Would the film lenses be less sharp then the digital lenses? What dificulties/problems could I encounter?